Legends say that when dragons die they become dragon trees, and it is obvious why this living fossil is one of the symbols of the Canary Islands, and maybe even the greatest treasure of Canarian flora. When one looks at its peculiar shape, it is also not surprising that the tree was considered a divine tree by the early inhabitants of the islands. 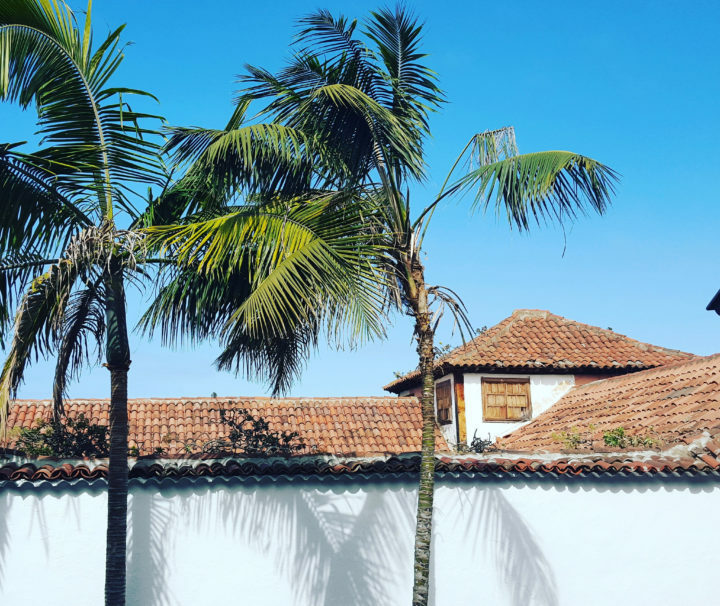 Until recently, Dracaena draco was considered to be native to Madeira, the Canary Islands and Cape Verde. 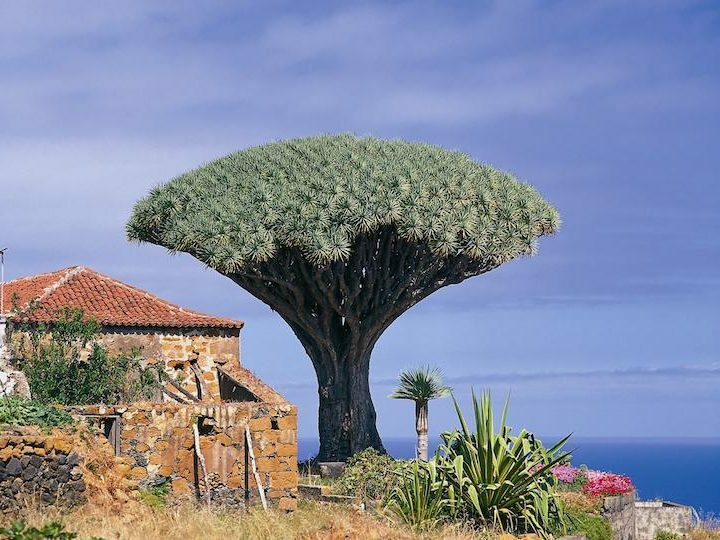 The islands are home to a number of impressive dragon trees. The great explorer and naturalist Alexander von Humboldt was greatly impressed when in the Franchy Gardens he saw before him a giant 25-metre high dragon tree with a 23-metre circumference, although there has been disagreement regarding these measurements. This tree, unfortunately, disappeared following strong winds in 1867. Today, the largest and most famous dragon tree, which has a diameter of 20 metres at the base and is 17 metres high, stands majestically in Icod de Los Vinos (Tenerife). It weighs approximately 150 tonnes not including the roots. There has been much debate over the age of the tree, and some say it may be over 5000 years old; however, recent estimates suggest that the tree is no more than 800 to 1000 years old. Do not miss to see this Dragon Tree.